STARKVILLE, Miss. (AP) Mississippi State is feeling pretty good about itself after a 35-14 victory at Texas A&M that has the Bulldogs on a three-game winning streak. Coach Dan Mullen hopes his players handle the good vibes better than they did the first time this season. No. 21 Mississippi State (6-2, 3-2 Southeastern Conference) was in a similar position in mid-September after a 30-point win over LSU . The Bulldogs received a lot of praise and jumped into the rankings before crashing back to reality with back-to-back road losses to Georgia and Auburn. Mississippi State shouldn’t have a problem this weekend when it hosts UMass (2-6) in a nonconference game. Then the Bulldogs close with three straight conference games against No. 1 Alabama, Arkansas and rival Ole Miss. Mississippi State was dominant in its win over Texas A&M thanks to terrific defense, a bruising running game and just enough passing to keep the Aggies’ defense honest. Quarterback Nick Fitzgerald threw for 141 yards and two touchdowns and ran for 105 yards and a touchdown. The Bulldogs intercepted three passes, including one returned 90 yards for a touchdown by Jamal Peters. 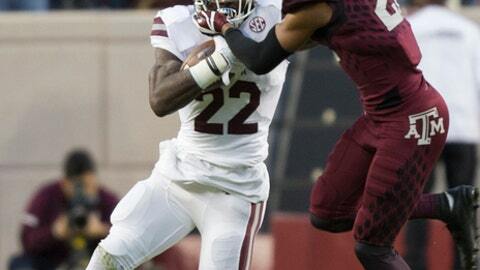 Mississippi State has given up just 281.8 yards a game this season – third in the SEC and sixth in the nation. Mississippi State’s defense has made dramatic improvement from a year ago, when it ranked near the bottom of the SEC in nearly every major statistical category. Defensive coordinator Todd Grantham replaced Peter Sirmon during the offseason. So far, it’s been a great fit. Defensive end Montez Sweat is one of many players who has developed quickly under Grantham. The junior college transfer has earned SEC defensive lineman of the week two straight weeks and had six tackles, including a career-high two sacks against the Aggies. Sweat leads Mississippi State with eight tackles for a loss and 5+ sacks. With so many contributions coming from so many places, Mullen believes this could be a special season.